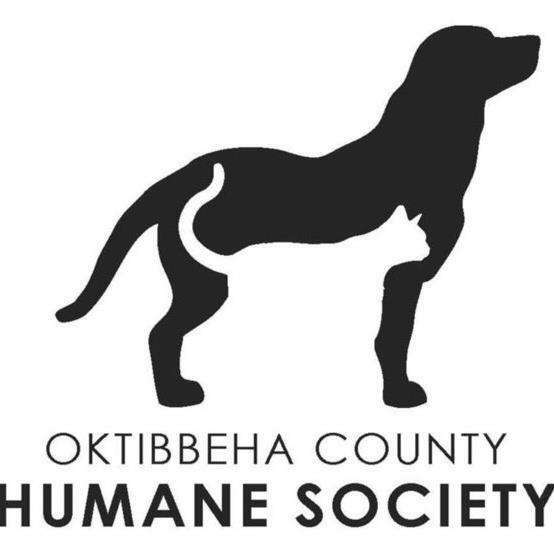 The Oktibbeha County Humane Society, Inc. (OCHS) was founded in 1978 upon the belief that the community has the responsibility to treat animals humanely. The mission of OCHS is to promote domestic animal welfare and we seek to fulfill this mission by providing humane education; promoting animal welfare legislation; advocating and facilitating pet sterilization; and rescuing, sheltering, and promoting adoption of abandoned animals. OCHS has multiple partners that it works with to promote our mission. OCHS is a member agency of the United Way of North Central Mississippi and works with local veterinarians and the Mississippi State University College of Veterinary Medicine to ensure 100% of adopted pets are spayed/neutered and microchipped. OCHS operates the OCHS Express which transports overlooked, adoptable pets from overcrowded southern shelters to northern shelters with a shortage of adoptable pets. In February, OCHS celebrated its 4,000th pet transported since the creation of the program in August of 2016! Locally, OCHS partners include the Amory Humane Society, Columbus-Lowndes Humane Society, Grassroots Animal Rescue, Small Mercies Animal Rescue, and others. Nationally, OCHS works with partner shelters in Illinois, Kentucky, Maine, Massachusetts, Michigan, New Jersey, New York, Pennsylvania, and Wisconsin. Additionally, OCHS is proud to have support from many local groups and individuals – from children collecting supplies instead of presents for their birthday parties to businesses hosting fundraisers. OCHS is so grateful for the support of our friends! The primary impact of OCHS on the Golden Triangle area is the care we provide for the thousands of dogs and cats that are surrendered to the Starkville Animal Shelter every year. Homeless, abused, or mistreated animals are provided food, shelter, vaccines, and medical care, while our staff and volunteers work to find them forever homes. We also help to keep stray pets out of the shelter by reuniting lost pets and their owners via social media avenues. A second impact is the mission to reduce the number of unwanted and neglected pets in our community through spay and neuter efforts. Over 2,000 animals were brought to the Starkville Animal Shelter last year from citizens in Starkville and Oktibbeha county, and that number continues to increase each year. Spaying and neutering pets is one of the most effective ways to reduce pet overpopulation. All animals adopted through the Starkville Animal Shelter are spayed or neutered before they are adopted. Additionally, OCHS assists low-income members of the Golden Triangle area with spaying and neutering their pets. Another goal of OCHS is to educate the public on the importance of proper animal care. We offer programs for current and future generations of pet owners that help facilitate a stronger bond between and a better life for people and their pets. Over the years, OCHS has helped thousands of homeless pets find their forever homes. In 2017 alone, we helped over 3,700 animals (including those from the Starkville Shelter and partner organizations) find their forever homes. We consider every animal adopted and every animal helped by one of our community programs to be a success story. Ellie first came into the Starkville Animal Shelter in December of 2015, rescued from a neglect situation with her six puppies. Her puppies were quickly adopted but, through no fault of her own, it was a bit more challenging to find the perfect family for Ellie. An adult, overweight pit mix who thinks she’s a lap dog, Ellie has a big personality and snorts when she gets excited. Our staff and volunteers featured her on WCBI and in the Starkville Daily News, dressed her up in princess outfits, and even took her to a child’s birthday party in an effort to find Ellie’s forever home. It was the birthday party that was ultimately successful – Ellie charmed all of the children and the Ivy family agreed to take Ellie into foster care. That arrangement didn’t last long as the Ivy family fell in love and knew that Ellie was meant to stay with them forever. Ellie was officially adopted 477 days after arriving at the shelter! Ellie’s story is just one happy “tail”, and evidence of the hard work by volunteers and staff to find a forever home for each and every animal that comes through our doors. As an open-admission shelter serving Starkville and Oktibbeha County, we serve all of its citizens each year – whether you adopt a pet, volunteer, bring a stray to safety, or call with a question – we are proud to serve as a resource. More than 5,500 individuals visit our shelter and 1,200 individuals volunteer with us annually. OCHS is funded from private donations, grants, and local contracts. If OCHS won the $5,000 grand prize, the prize money would go towards our mobile veterinary unit, Fido Fixers, which provides low-cost spay/neuter services to pet owners who can’t afford the surgery. About 100 surgeries can be performed with $5,000 – which means hundreds fewer homeless pets! OCHS has grown, from humble beginnings in a two-room shelter with average adoption rates, into a regional resource for both our community and for our animal welfare partners. Dedicated volunteers and skilled staff have developed and implemented best practices and programs that, once proven successful in our area, are shared with animal welfare colleagues so that an even greater impact can be made. In doing so, OCHS has been able to expand its reach beyond Starkville and Oktibbeha County, to make a difference in the lives of many thousands of animals in north central Mississippi. 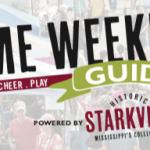 This accomplishment is due to the fantastic support that we receive from people just like you and entities like the Greater Starkville Development Partnership; Starkville Restaurant Week sponsors Cadence Bank, Vollar Lang Law Firm, and Ross & Kelley Attorneys; and participating restaurants. OCHS is proud to contribute to and be a part of our vibrant community! OCHS would love for you to become involved! The best way to get information about OCHS is via our website (www.ochsms.org) or via social media (Facebook, Twitter, and Instagram handles @ochsms). OCHS is honored to be nominated for Starkville Restaurant Week and thrilled to have been selected as one of three charities to participate! 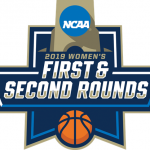 We are in great company with Christian World Missions and the United Way of North Central Mississippi – whichever charity wins the grand prize will do fantastic work! Starkville is home to the BEST restaurants with amazing, diverse flavors to satisfy any mood. We look forward to breaking bread with our neighbors during Starkville Restaurant Week and toasting the winners!